9 Places You Must Visit When In Vienna, Austria. | Travel Photography Blog by Nisa Maier and Ulli Maier. 10 Places You Must Visit When In Vienna. Obviously there are many more sights and places to be seen in Vienna, if you want more info, feel free to contact me via a comment below or an e-mail through the contact form (even when it comes to touristy places). #1 Must Visit When In Vienna: A Ring Tour. 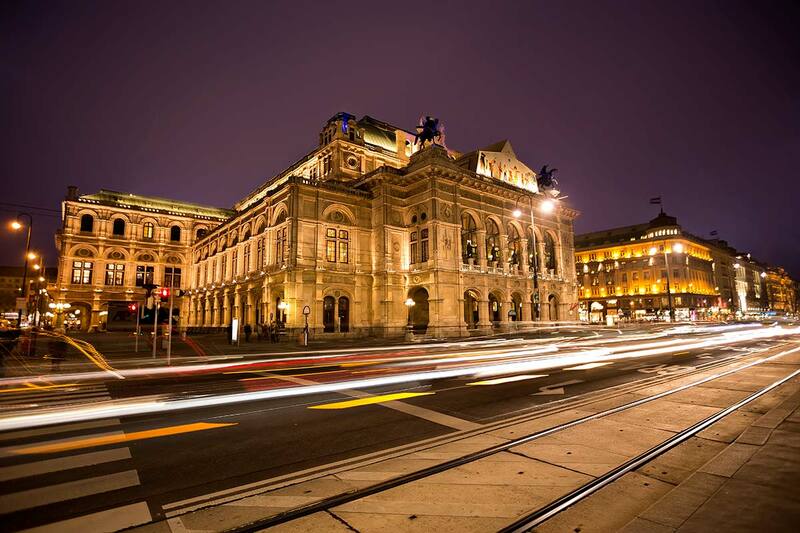 The Ringstraße is the road surrounding the inner city (1st district) of Vienna with some of the most famous sight like the Opera House, Hofburg Palace, Parliament and City Hall. While wondering the street, take a side track into the lovely Burggarten to either rest a bit or to enjoy a cup of coffee in the Palmenhaus. Further along the way, you will come to the Votivkirche and then to the Danube Channel with many restaurants. 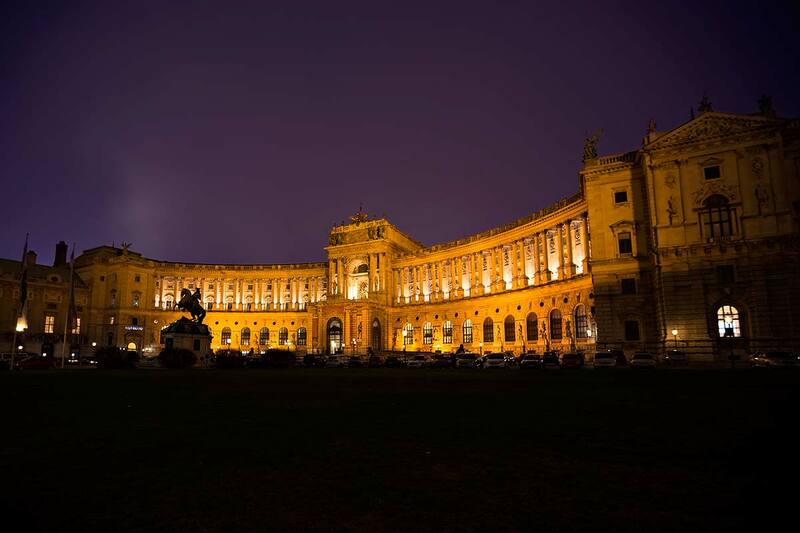 The famous Hofburg palace was the Habsburgers winter residence, as the Schönbrunn Palace was their summer residence. Just across the Hofburg palace sits the Austrian Parliament with the Pallas Athena fountain in front of the main entrance. #2 Must Visit When In Vienna: One, Or two, Or three Coffee Houses. As a Viennese, I love a good cup of coffee. The Viennese Coffee House Culture is world famous – and since 2011 even an UNESCO intangible cultural heritage. The Viennese coffeehouse is described in this inventory as a place “where time and space are consumed, but only the coffee is found on the bill.” And oh is that true! I wrote a separate article on my top 10 favourite coffee houses. Of course there are many more, but I think this gives you a goof impression on traditional and modern ones in all areas ov Vienna. #3 Must Visit When In Vienna: Twin City Liner. Vienna and Bratislava are the capital cities with the shortest reaching distance (in Europe). So, if you’re staying in Vienna for more than just the weekend, be sure to hop on the Twin City Liner to take a cruise to Bratislava. It only takes 75 minutes in each direction and you can check out two capitals in just one day. Schloss Schönbrunn: Schönbrunn is one of the most important cultural monuments and tourist attractions in Austria. So why am I posting it here, since I promised to stay away from typical tourist attractions … Well, because there’s more to Schloss Schönbrunn than just the (very beautiful) castle; the park around Schloss Schönbrunn is a great little oasis in an otherwise busy city. It’s perfect for long walks or a little jog. Jogging grounds in Vienna are rare, so naturally the park can get pretty crowed … best to go there early morning or late in evening. Winter tip: The Christmas Market in front of the castle is a must for every visitor and local. Gloriette: The Gloriette in Vienna is the largest (and therefore most well-known) gloriette worldwide and is a nice café where you can refuel your energy. 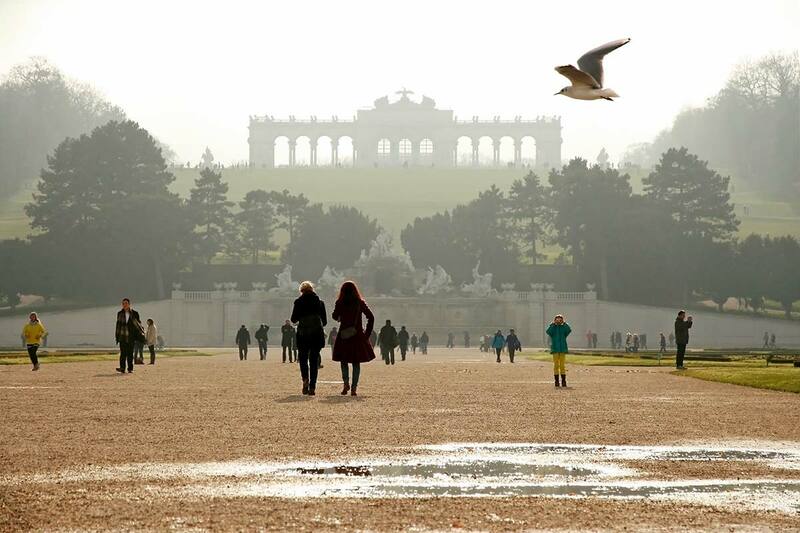 The Gloriette was built in 1775 as the last building constructed in the garden of Schönbrunn castle. it was used as a dining hall and festival hall as well as a breakfast room for emperor Franz Joseph I. 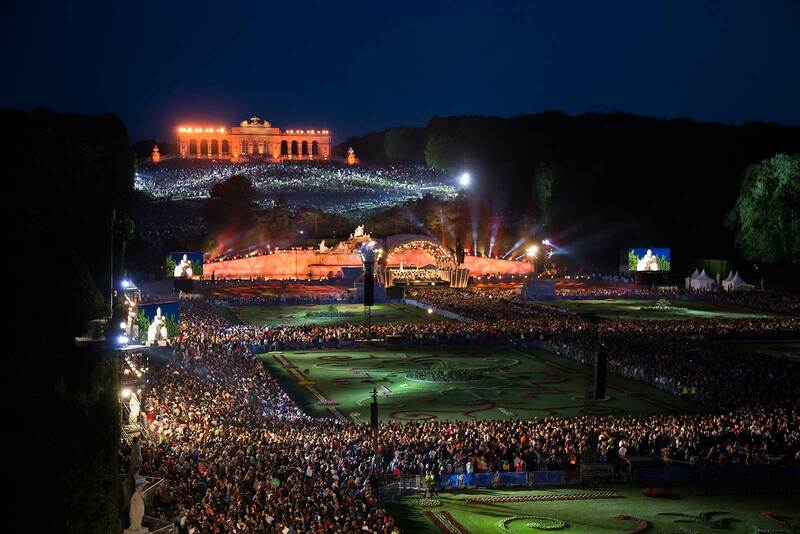 Each year the Vienna Philharmonic orchestra plays an open-air concert at Schönbrunn Palace park. The admission is free and it has been held every year (around May) since 2004. Approximately 100.000 people come here every year. Tiergarten Schönbrunn: The famous Vienna zoo was founded in 1752, which makes it the oldest zoo in the world. If you want to see the castle, take metro line U4 station Schönbrunn. For the zoo it’s better to take the metro line U4 until Hietzing (even though you can also walk through the gardens to reach the zoo). Today Tiergarten Schönbrunn is considered and regards itself as a scientifically administered zoo which sees its main purpose as a centre for species conservation and general nature conservation as well as in the fulfilment of the education mandate given to it by the legislation. Tiergarten Schönbrunn is one of the few zoos worldwide to house giant pandas. 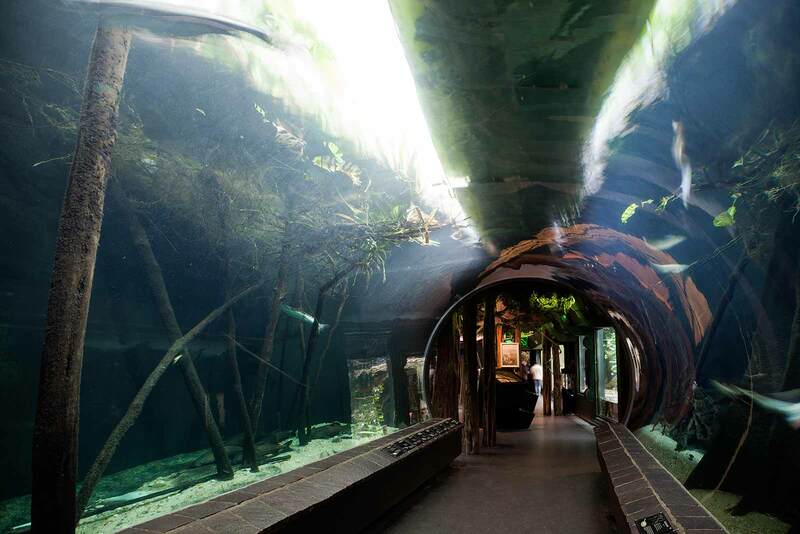 Apart from these there are other zoo attractions like the rainforest house, in which the spectator is led through a simulation of the Amazon rainforest, an aquarium, which enables spectators to walk through underneath a simulation of the Amazon in flood, and, more recently, an exhibit of animals in unnatural habitats. #5 Must Visit When In Vienna: Naschmarkt & Brunnenmarkt. Naschmarkt: The Naschmarkt is Vienna’s most popular market and a real hot spot. Whether you want to go out for lunch or after work-cocktails … one of the many bars/restaurants will suit you for sure. 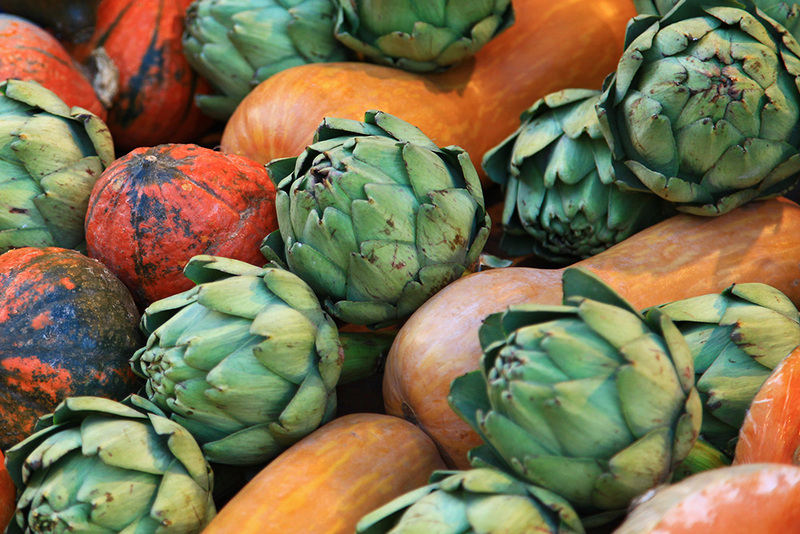 You can also buy yummy fresh fruits and vegetables from around the world, exotic herbs, cheese, baked goods, meat and seafood. The Naschmarkt is located at the Wienzeile in the 6th district of Vienna and is about 1.5 kilometres long. You can get there by metro line U4 station Kettenbrückengasse or Karlsplatz (also U1 and U2 go there). 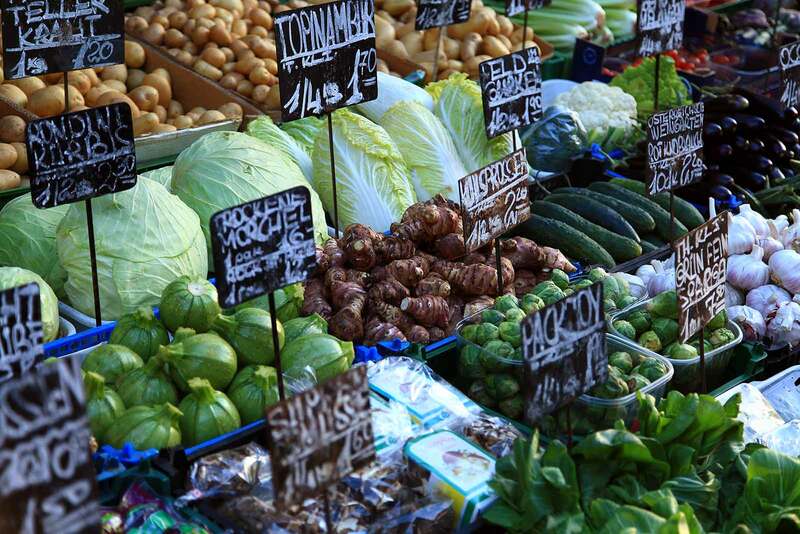 Fresh Vegetables at the Naschmarkt in Vienna, Austria. Brunnenmarkt: The Brunnenmarkt is the longest street market in Europe, located in the 16th district of Vienna and (in my opinion) the “new” Naschmarkt. Over the years, many lovely restaurants have popped up around the Yppenplatz, which is the extension of Brunnenmarkt. The setting around the entire area is trendy yet still very cultural, and that’s what makes Brunnenmarkt so diverse and “hot”. The Brunnenmarkt can be reached by the metro line U6 until station Thaliastrasse and then the tram line 46 until Brunnengasse. Vegetables at the Brunnenmarket in Vienna, Austria. 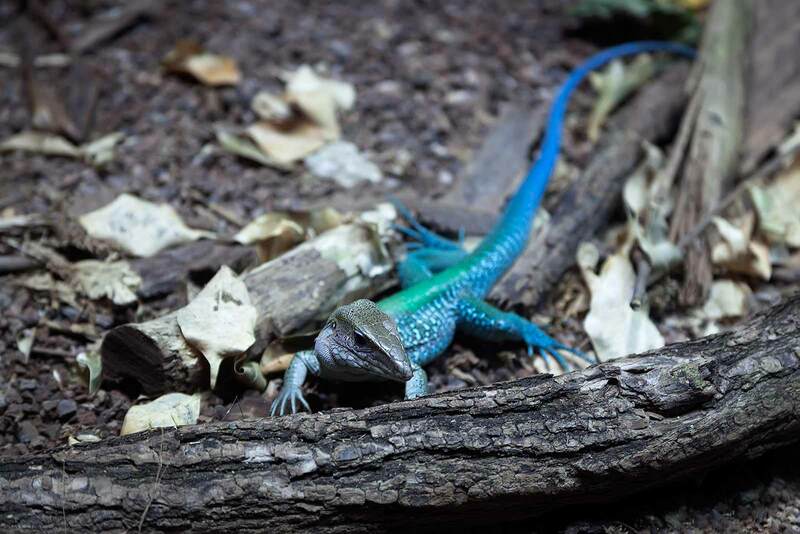 #6 Must Visit When In Vienna: Lainzer Tiergarten. The Lainzer Tiergarten is for those of who who would like to get away from all the hassle for a while. It’s a wildlife preserve in the 13th district of Vienna. Approximately 80% of it is covered in woodland, so it’s a perfect destination for long walks. 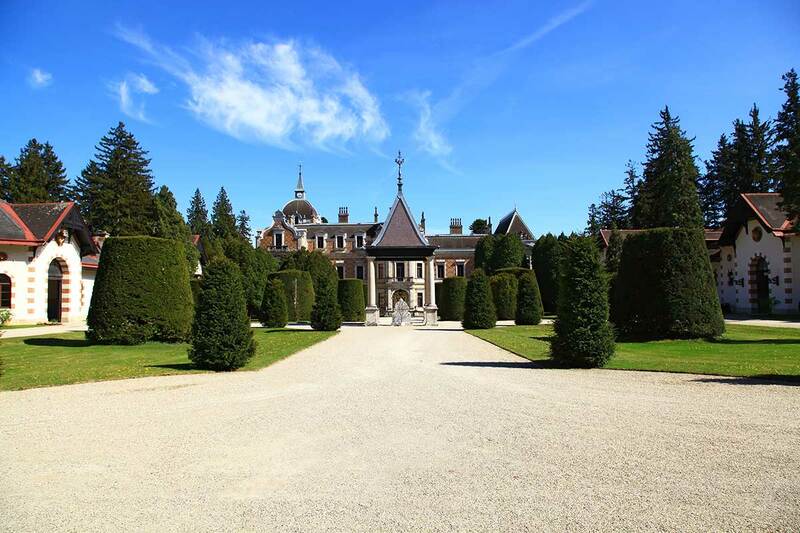 Back in 1561, it was used as a fenced-in hunting ground for Ferdinand I of Austria and his family. What’s really lovely about this place is that your trip can either be topped with a yummy lunch/coffee at the café or a visit to the museum in the Hermesvilla (or both of course). Emperor Franz Josef I gave this chalet to his wife Empress Elisabeth (better known as “Sissi”) because she was a huge nature fan and wanted a place for her own. Not bad huh? 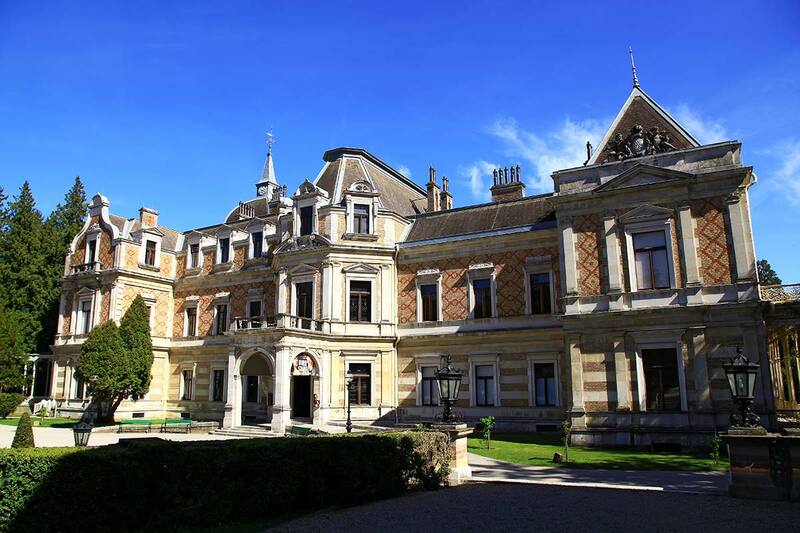 Hermesvilla is a palace in the Lainzer Tiergarten, in Vienna, a former hunting area for the Habsburg nobility. Today it’s home to a café and museum great for weekend visits. 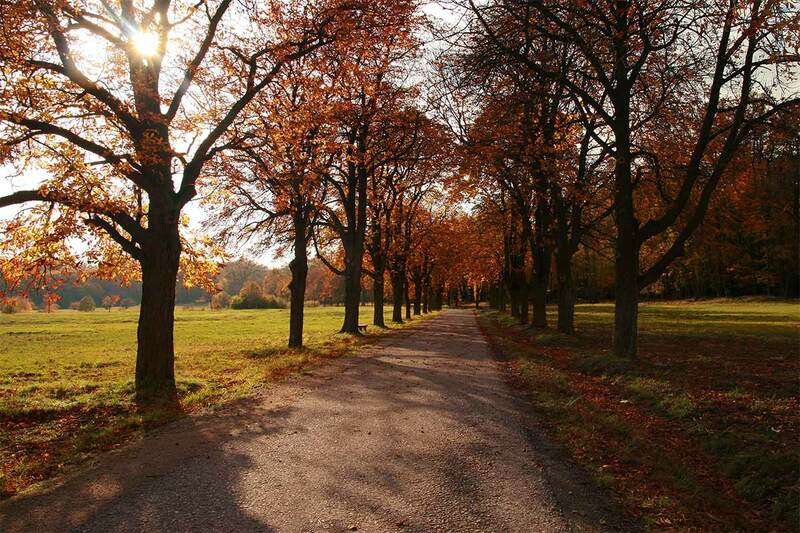 The Lainzer Tiergarten is a wildlife preserve in mostly home in the 13th distinct of Vienna. 80% of it is covered in woodland with alleys for runners and walkers leading through the forest. My favourite time of the year to go there is autumn where the colours are simply amazing. 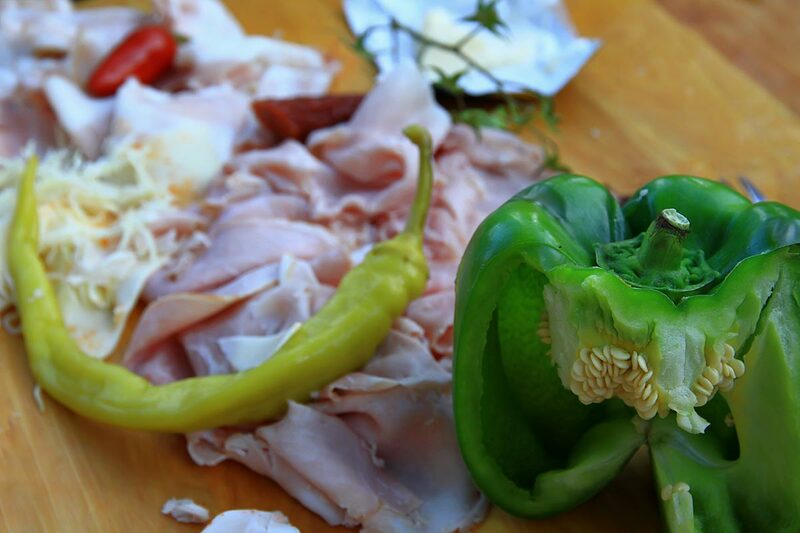 #7 Must Visit When In Vienna: A Typical “Heuriger”. A Heuriger is a typical Austrian wine tavern where pretty much all you get is wine and a limited variety of cold food (bread with cheese, etc.). A Heuriger isn’t open all year around; typically only two to four weeks per year. It’s a really nice experience because it’s some very traditional and typical for Austria so if you’re visiting during the “Heurigen” season, be sure to check one out. The 19th and 23rd district, as well as Perchtholdsdorf (South of Vienna) are the classical areas. My “Heuriger” tip: Heuriger Kurt Pröglhöf (Am Goldbieglberg 5, 2380 Perchtoldsdorf) or any Heuriger in the 19th district. A typical Heurigen get together. The name was given to Eastern-Austrian wine taverns in which wine-growers serve the most recent year’s wines. 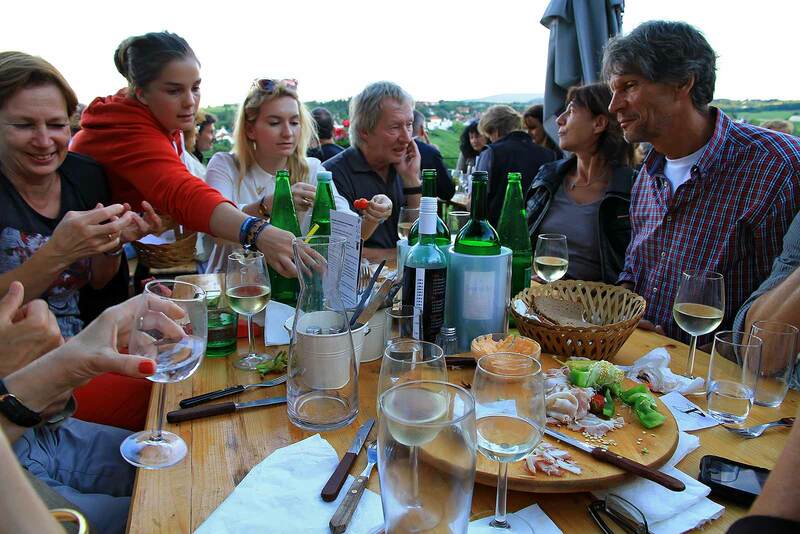 At a Heuriger, you will only get the owners own wine, and it serves a limited selection of cold food as an evening meal, generally local, homemade products. 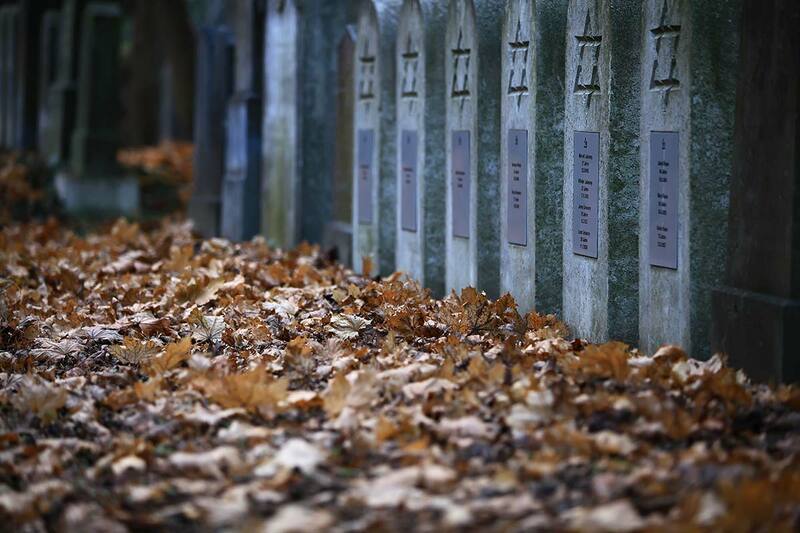 #8 Must Visit When In Vienna: Wiener Zentralfriedhof (Vienna Central Cemetery). Some may find this sight a bit macabre but I think that the Zentralfriedhof is an amazing place in Vienna and therefore I want to include it. 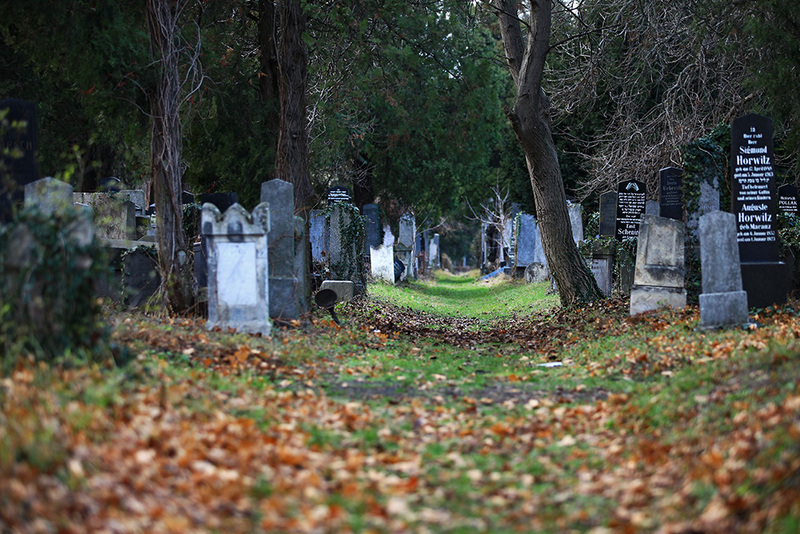 The Viennese Central Cemetery is the largest cemetery in Austria and Europe’s second largest (Hamburg-Ohlsdorf is the largest). It opened its gates in 1874 and is a great place to visit since it displays Austrian history throughout the last 200 years. The Karl-Lueger-Kirche is the Art Nouveau-style church and once of the most famous buildings at the cemetery. it’s located in the centre of the cemetery. From the Main Gate an avenue leads to the “graves of honor” reserved for famous personalities. Some of the notable persons laid to rest here are Beethoven, Brahms, Schubert and Johann Strauss (son and father). The Zentralfriedhof (Central Cemetery) is one of the largest cemeteries in the world, largest by number of interred in Europe and most famous cemetery among Vienna’s nearly 50 cemeteries. Passing through Gate 1 of the Central Cemetery, the way will lead you towards the old Jewish section, a field of graves with many remarkable monuments. Among others, Arthur Schnitzler and Friedrich Torberg are interred in Group 6. 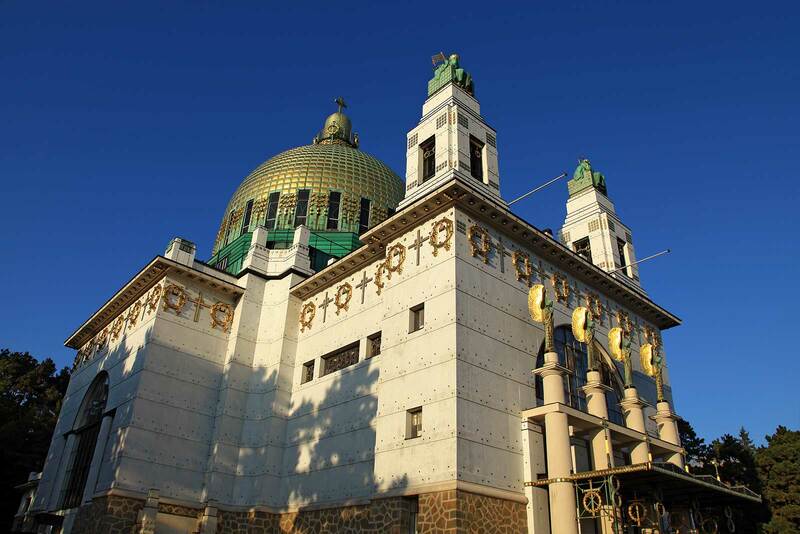 #9 Must Visit When In Vienna: Otto Wagner Church. If you have enough time and are interested in nice architecture, the Otto Wagner Church in the 14th district is an absolute must when visiting Vienna. Designed by Otto Wagner, it’s considered one of the most important Art Nouveau churches in the world. The copper-covered dome (which looks a bit like half a lemon) is visible from quite a distance. 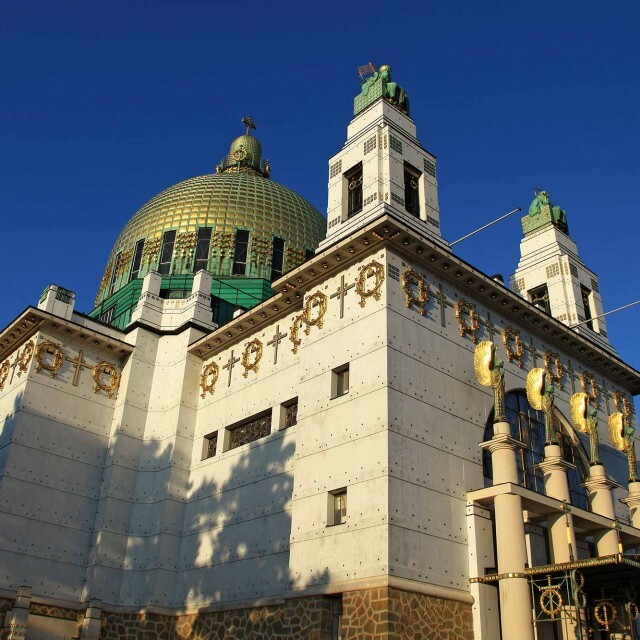 If you have enough time and are interested in nice architecture, the Otto Wagner Church is an absolute must when visiting Vienna. #10 Must Visit When In Vienna: Haus des Meeres. The Haus des Meeres is a public aquarium located in the 7th district of Vienna. The aquarium itself is nice, but not that special compared to other aquariums in the world. Although not too many aquariums are located inside a tall concrete flak tower built during World War II, so I guess that’s kinda special. The best part about the Haus des Meeres is the rooftop cafe/restaurant. 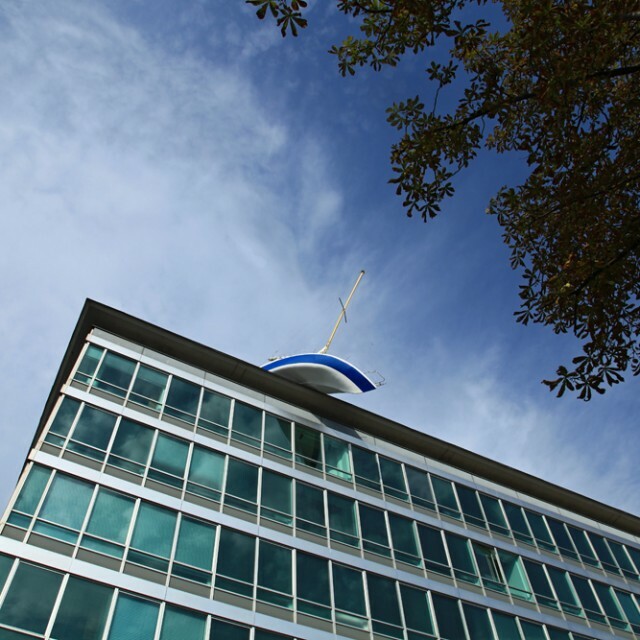 It’s one of the only public places in the city centre where you really have a complete 360° view. It’s truly spectacular and therefore one of my favourite spots in the city! Option 1: Metro Line U3 until Neubaugasse and bus lines 13A, 14A, 57A (stop “Haus des Meeres”). The view up from the Haus des Meeres is truly spectacular. 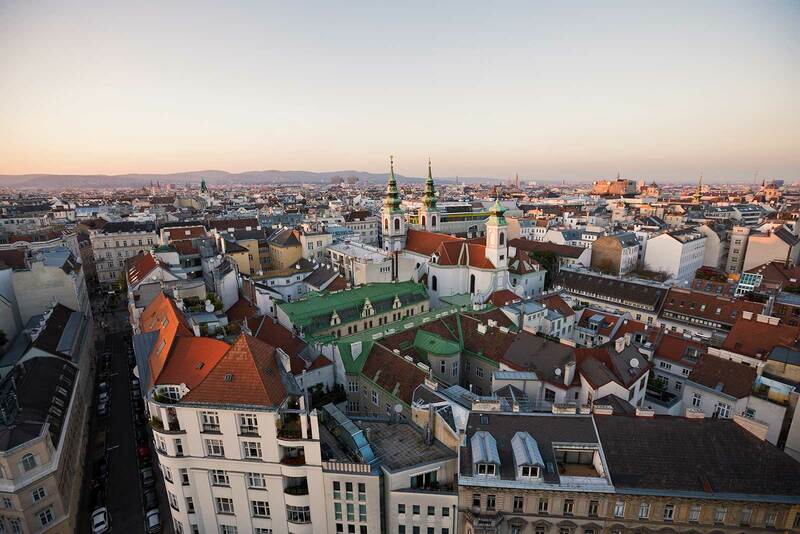 You can see Vienna in all its beauty. Vienna from above. On the left side you can see St. Stephens Cathedral and also Viennas highest building, the DC tower in the distance. 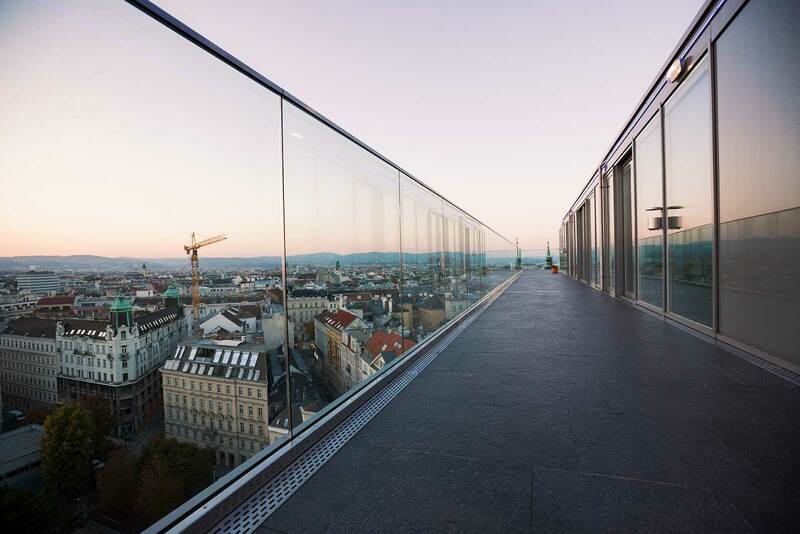 The Haus des Meeres offers some of the best views of Vienna. Its rooftop terraces offers a 360° view. Other Day-Trip Possibilities Around Vienna. Thanks for your comment. If you get the chance, be sure to check out Vienna – it’s a wonderful city ;) I looked at your portfolio and you have some really nice stuff! We are planning to visit Vienna mostly around Xmas. How about public transport and other touristy places, is they are usually open during Xmas? The Christmas markets are open from the beginning of December until the 24th. Shops are closed from the 24th December (mid-day) until the 26th. Then they’re open again until New Years. Museums/tourist attractions are open pretty much every day, so you should be able to visit whatever you like. 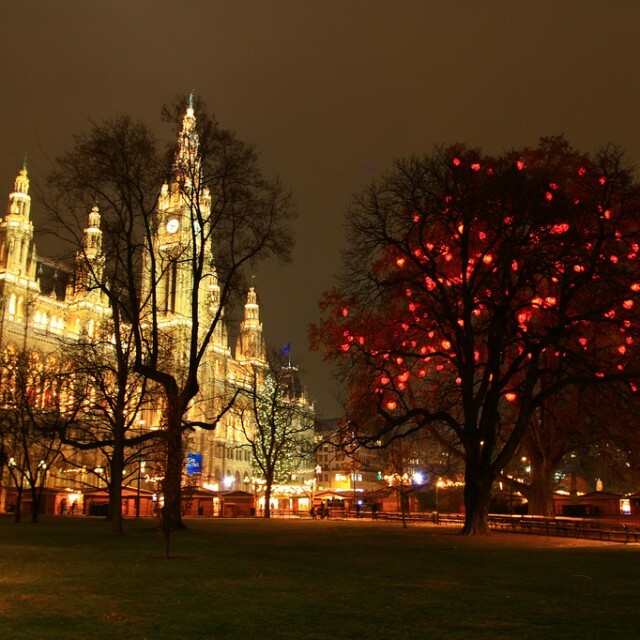 Christmas in Vienna is amazing and I’m sure you’ll enjoy it! I hope I could help you out. If you need any advice, please feel free to contact me any time. I have been enjoying your photographs and it seems you have a lot of knowledge of regions around Vienna. Do you have a cute village you would recommend for a couple of nights in early January. We will be at week 5 of a holiday so probably looking for some relax time with our 11 & 13 year olds. Thanks so much. I would recommend Purkersdorf, which is just outside of Vienna (West). It’s a cute village, but not too tiny either…and you have great outdoor opportunities there as well. We will be in Vienna with my mother in law from Jan 2nd leaving Jan 7th 2014. Will the Christmas Markets be open and what are the must see and do’s at that time? We are visiting my mother in law who lives in Malmo Sweden and we would like to take a vacation to Vienna and make this experience as memorable as possible. Your comments will be appreciated. Unfortunately Christmas markets will not be open any more – most of them close on December 23rd/24th. But you should definitely check out the ice skating ring in front of Rathaus that time of the year. It’s a highlight for sure. Other than that, trolling around Vienna will always lead you to other great spots. If you need more details, just drop me an e-mail and I will get back to you then. We have visited Vienna during the winter and saw the Christmas Markets, etc. We really loved Vienna. Now we want to visit when the parks will be beautiful with the fountains and flowers. What month would you recommend for this adventure? Thanks for all your pictures. They reminded us of all the beauty of Vienna. And for blossoming parks, May would be your best month of the year. Let me know if you decide to come and I can recommend heaps of cool places to check out that time of the year. I came across this site while searching for places to visit in Vienna. Planning a trip with my wife of 3.5 years and our 6 month old daughter in the mid of May 2014. Going to celebrate my wife’s birthday during the trip. Would love your recommendations. We will be there for about a week. Also nearby places that we should not miss. First of all thanks so much for your lovely words – we really appreciate it a lot!!! June is a perfect month to visit Vienna, because it’s not yet packed with tourists and the weater is nice already. Your trip sounds amazing!!! Bicycling along the Danube is absolutely lovely and I enjoy doing this during nice summer days as well! Beatiful places. I will be in Vienna at the end of April 14. Hope can visit those places. Thanks for your informations. Very interesting as I shall be visiting Vienna in August this year. When is the wine/cold food market open. The one that opens for just four weeks? It depends to which Heuriger you want to go. Check out http://www.heurigenkalender.at/ for details on which Heuriger is open when. I will be in Salzburg in July and thinking about adding on a few days in or near Vienna. Where would you recommend I stay and visit if I only have a few (maybe three) days and I will be alone? Nisa, I’m going alone to europe in september and I have fitted Austria in my itinerary. I plan to spend two days in Vienna and one day in Hallstatt. Do you think is it worth it to spend only one day in Vienna and fit one day in Salzburg before going to Hallstatt? One more question, do you know Hallstatt? What are the best things to see besides the cityescape and go up to five fingers? Sounds like quite a plan you have on your agenda. Austria in September is absolutely beautiful, so you picked a good time. Honestly, I think one day in Vienna is not enough…but I guess is just depends on what you want to do. There is so much so see and do. Salzburg is beautiful as well and I would say that one day there and you’re good to go. Of course more time gives you more freedom. Hallstatt is stunning. But again, one day is not a lot and I think with what you have planned, you’re on a tight schedule anyway. If you’d have more time, you could check out the surrounding villages/cities which are beautiful as well. I am going for two days to Vienna and I am kind of nervous. I enjoy your pictures but I don’t know what is the best way to go around Vienna and which places to cover. I have a friend that lives in Liechtenstein but I don’t know how close or where my hotel is going to be. I am searching for places to visit in Vienna and I don’t know where to start. Could you pls give me some hints. There is really no need to be nervous. The public transport system in Vienna is one of the best in Europe. You can choose between metro, bus, tram and train. Have you made a reservation at a hotel in Vienna? Let me know if I can help you out further! I was wondering if you have any insight about this: We are traveling from Croatia to Budapest beginning of September, we need to decide in between visiting Helsinki or Vienna. Wondering if Vienna and Budapest are much alike cities and mix it up with Helsinki. Thanks Nisa for your valuable suggestions about Vienna. I am visiting Vienna from 18th October for 5 days for a conference and have another 4 days after that. What do you suggest I can visit during those 4 days? I had thought of Salzburg and Innsbruck based chiefly on friends’ advice. And what would be the MUST DO things in Vienna? Thanks for your comment. I’m glad you find the info helpful. 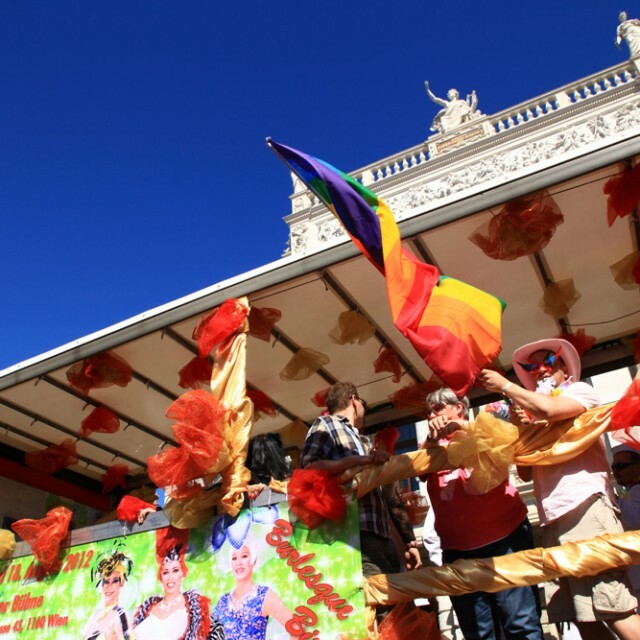 4 days is a really good time to explore the city as well as maybe one or two other towns. Of course Salzburg is on every travellers list. A day trip there would be enough, unless you also plan to visit the Salzkammergut (with Hallstatt for example). Innsbruck is beautiful as well, and if you like the mountains, then definitely go there too. Then you’d need two days at the minimum. I am heading off to Austria, Germany, and The Netherlands for a few weeks and leave in two days. I have been browsing around your site for hours and there is so much useful info! Do you have any recommendations for good event websites? Not large markets and such, but more local happenings like live music or cool small-time activities? Any and all help is greatly appreciated. Thanks! There are several online magazines/sites to check out the event calender (all kinds of events – from parties to museums, concerts, etc. ), but I’d recommend these ones: http://www.stadtbekannt.at/, http://www.falter.at/events & http://www.wien-event.at/. I’m sure you’ll find what you’re looking for here. Have a great trip & happy new year! I will be in Vienna for 3 days and experience my first ever white Christmas (I’m Asian) in Europe. Will really love to visit the Christmas Market as well as some historic site/tourist attraction. What are some of the places that I “cannot miss” or “must see” in a short 3 days. Three days is not that much because Vienna offers to many things. 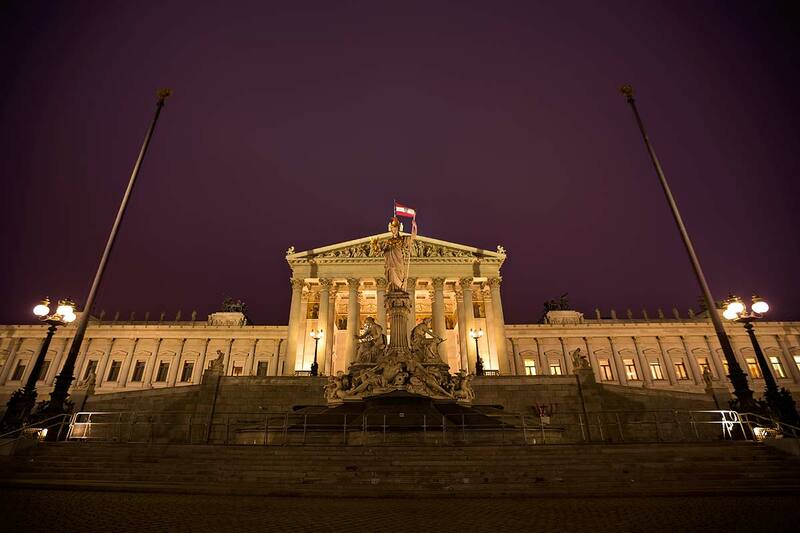 But the things mentioned above are definitely must-sees in Austria’s capital. What further suggestion were you thinking of? Food, music, museums? I’m sure you’ll love it here during Christmas. There is an amazing spirit in the city this time of the year. Do you have any suggestions on how and where to spend New Year’s Eve in Vienna? We are looking for something fun and relatively inexpensive. Oh boy, there are so many things to do in Vienna during New Year’s… If you want to see the fireworks you can spend it in the city center near Stephansdom (but be aware because thousand of people will do the same) or go to Cobenzl – from here you really see the entire city from far away. Then go back into the city by taxi and enjoy your time here. After midnight people swarm into bars and clubs. It’s packed but in a good way. Hope this helps you a little bit. Let me know if you have any detailed plans, then I’d be happy to help you out further! Have the best time & happy 2015! Hi Nisa, I’ve loved looking over your photos and tips. I’m coming to Vienna with my boyfriend for (sadly) only 2 days after 1 day in Bratislava We love food, coffee and doing/seeing things that are a bit different to what we have in our our cities in New Zealand. Do you have a place you would recommend for a nice meal, perhaps your favourite place to eat in Vienna, somewhere with traditional food around max €40-50? Any other funky/arty areas you would recommend? I totally love New Zealand! Where about are you from? One of my favourite place for traditional Viennese cuisine is the “Gasthaus zum Holunderstrauch” in the 1st district. Also really good is a restaurant called “Heuer am Karlsplatz” or “Neni am Naschmarkt” – although the last doesn’t offer Austrian cuisine, but rather oriental food. Planning to visit Vienna in July celebrating my husbands retirement. We love history, food and wine. We are staying at the Vienna Marriott Hotel. Are there many sites in walking distance to view? What other means of transportation would you recommend and places of interest? . I booked 7 days and wonder if that gives us time to really explore Vienna. 7 days is definitely enough time to explore the city and to get a more detailed view of it. The Marriott Hotel is located right next to the Stadtpark and therefore within walking distance of pretty much any sight in the first district. You can go by tram (line 1 or 2) around the ring and just get off wherever you want to. 7 days are also enough to get out of the city a bit. Maybe a trip to Salzburg and Hallstatt would be of interest for you? The train connections are really good and the trip to Salzburg will only take you about 2 hours in each direction. let me know if you need any more input. Hope you’ll enjoy your stay! I love your photography! I’ll be in Vienna in the first week of March for 3 full days where I will meet up with my son who is backpacking thru the EU. I wanted to give him a nice break from the hostel’s he has been staying. 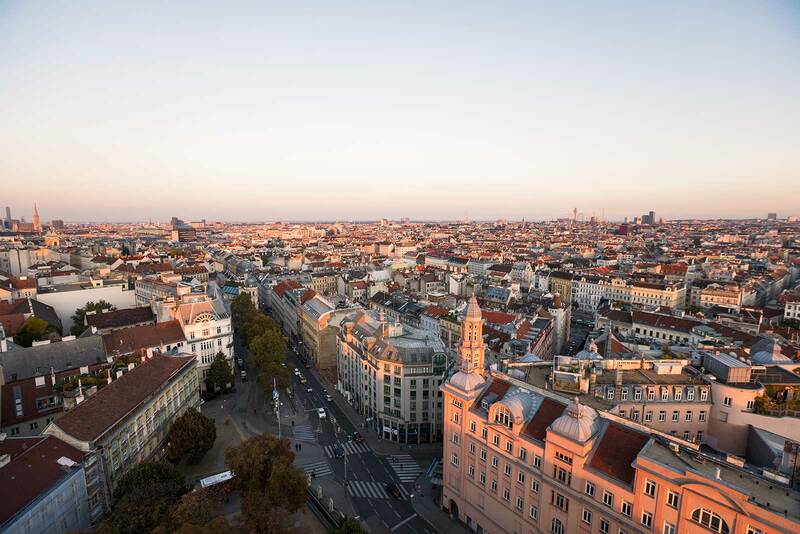 What recommendations can you offer in the way of a 4/5 star nice hotel in a happening area of Vienna. Could that be found in the 1st District area? I would like to avoid a modern hotel and prefer something truly Viennese. Truly Viennese hotels…”Hotel Imperial”, “Hotel Sacher” of course or “Grand Hotel”. I have to say that I don’t really like these hotels, because they are super expensive and dusty and imperial. I know you said that modern hotels are not on your agenda, but these ones are really nice: “25hours Hotel MuseumsQuartier”, which lies is a really nice area. Also good is the new “MotelOne Staatsoper”, which is not a five star hotel, but is newly renovated and lies right in the centre of the city. Or “Hotel DAS Triest” in the 4th district. I’m sure you’ll find something fitting for the both of you! Have fun. I will be visiting Vienna in two weeks. Your pictures are beautiful. I am interested in architect and look forward to taking pictures of churches and other historic buildings. Any suggestions for a 5 day stay? Five days is a really good time to explore the city. It depends on your budget, but a really good place is the newly built “MotelOne Staatsoper”, which is pretty cheap and lies in the absolute A-district. Spending your 50th in Vienna is definitely something special! I’m sure you’ll love it. The Spanish Riding Schools 450th anniversary is a big celebration and I’ll be a guest of the Summer Ball “Fete Imperiale”, which takes place every year in honor of the horses. There are several nice coffee houses you could check out. Ready through my favourite coffeehouses in Vienna. Keep in mind that you need to make a reservation beforehand in all of these restaurants, since they’re always full. As mentioned in this article, the Lainzer Tiergarten/Hermesvilla is a really beautiful and peaceful walk, yet not too easy to get there without a car. But Schönbrunn garden offers stunning walks as well and also Prater-Hauptallee, yet you’ll definitely not be alone here since it’s one of Viennas most popular outdoor area. Since I’m not the biggest Jazz fan, I actually have no idea where to find a good Jazz bar, sorry. Hopefully you’ll find some of my tips helpful. I hope you’ll have an amazing stay here, but I’m sure you will! Let me know if you need and further info. We will be in Vienna the beginning of July for a few days. We have already picked some sights but can’t decide between a day trip to the Danube Valley or a day trip to Salzburg. Which one would you recommend ? Puhh…that’s not an easy choice because every region has it’s charm. Personally, I think Salzburg is nice, but I don’t really find the city itself too exciting (which doesn’t mean that there aren’t any beautiful spots), but rather the outer region. The Danube Valley is amazing in summer, so I if it were me, I think I’d go with the Danube Valley. Hope you’ll enjoy your trip! Take care! Me and my husband together with our baby are planning to travel to Vienna this June for 5 days. Actually I’m following my husband who has a job here. I’m not sure where we can stay. I prefer a place where I can cook since I’m a Muslim. Not too expensive. Just moderate. And would you mind suggesting a nice places to visit (it will be good for a short distance walk for us to explore). I really appreciate your advise and suggestion. Thank you. Take care & all the best! I am mesmerised with your photography. Me & my wife will be visiting Vienna in early June 15 and just wanted to know what I must not miss to photograph in Vienna during my 3 nights visit. Once again a big thank you for put up photographs & information so attractive . “Tag Des Denkmals 2012″ – A Photowalk Through Vienna. Otto Wagner Church: Excursion Through The Steinhof Psychiatric Hospital. 7 Christmas Markets In (And Around) Vienna You Shouldn’t Miss.